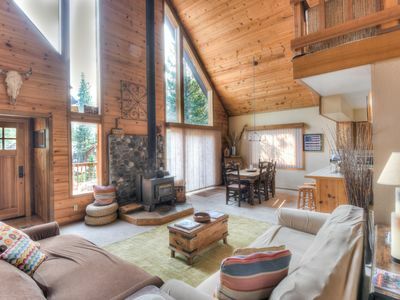 This lovely mountain retreat features everything you desire in your vacation home.. and it's location is unbelievable! 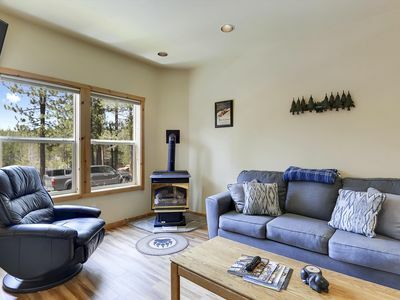 The living room is very spacious and includes a fully stocked kitchen with all major appliances, and everything necessary to cook whatever comes to mind with friends and family. 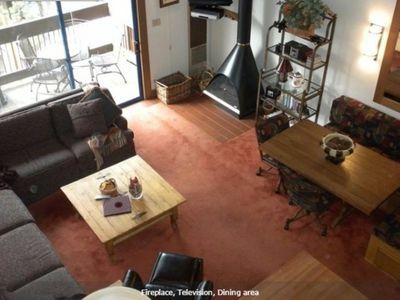 Our 65" flat screen TV comes equipped with Netflix, HULU, RedBull TV & more. The loft has a Pool Table/Ping Pong Table Combo. 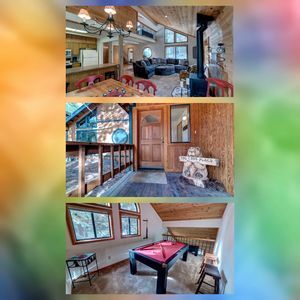 The Tahoe Donner Downhill Ski Area is only a few minutes up the street, and this home is literally a 1 minute walk to Z Marketplace with fresh deli sandwiches and grocery shopping (across the street), and also only a 2 minute walk to my favorite restaurant in all of Truckee... 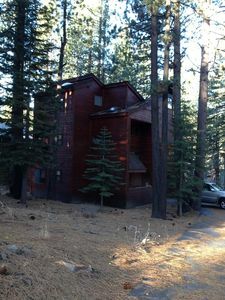 The Lodge. 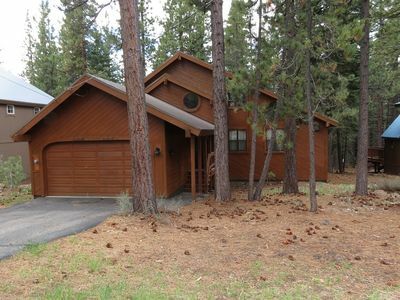 Within only a 5 minute walk is Trout Creek Rec Center Gym/Pool/Spa/Sauna & Private East End Donner Lake Access. Entry is $15/person/day/site payable onsite. 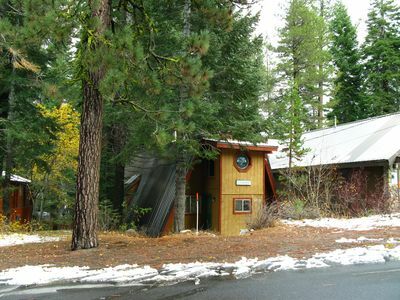 The Tahoe Donner Driving Range, and Snow Play Area with a Tubing Hill during the Winter! 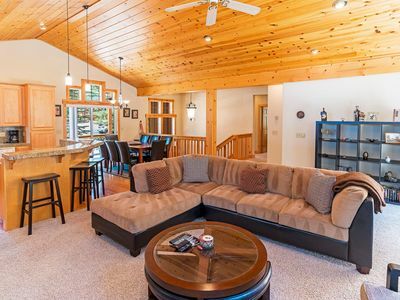 There is more.. An Equestrian Center, Amazing Biking & Hiking trails, and Pizza On The Hill. 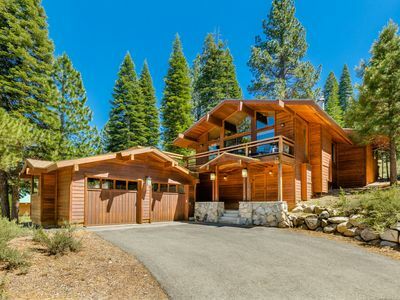 All of this is accessible in less than a 5 minute drive, and that's just what Tahoe Donner itself has to offer! Bedroom #1 - 4 Beds! (1) Twim Bed w/ Heated Blanket & (1) Twin Bed Trundle Underneath. 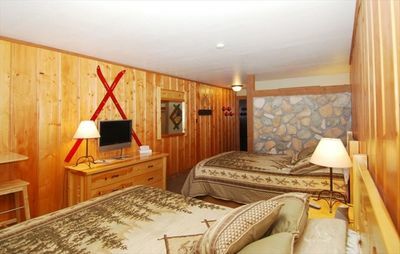 + Bunk Bed w/ (1) Twin above & (1) Full below w/ Heated Blanket. 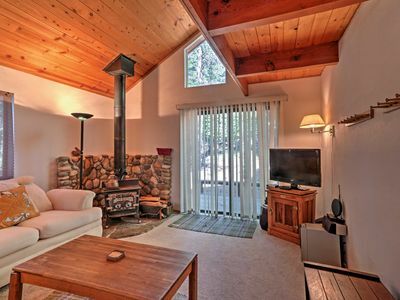 We also provide a fan/space heater in every room. Bedroom #2 - Queen Bed w/ Heated Blanket, Large Closet, and fan/space heater. Bedroom #3 MASTER - King Bed w/ Heated Blanket, Large Closet, Full Bathroom, and fan/space heater. 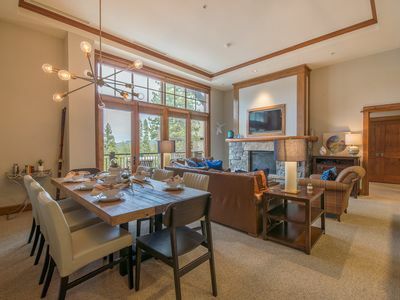 Truckee is central to Everything Tahoe, and when you book with Tahoe Alpenglow Properties you get more than an entire home to yourself... We are here for you at any time, and even after hours via an emergency line. There is a Guest Welcome Binder in the home which is full of useful information, and your entire house will have been professionally cleaned before your arrival. We provide a beginning supply of essentials (hair dryer, toilet paper, paper towels, bath towels, beach towels, garbage bags, hand soap, dish soap, dishwasher fluid, laundry detergent) + mini shampoo & conditioner in each bathroom. 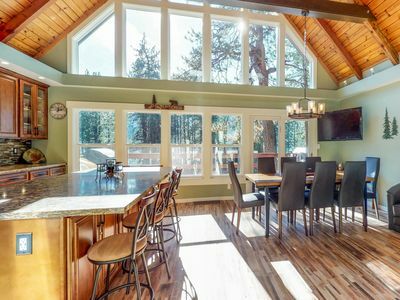 Visit our site Tahoe Alpenglow Properties and click the "Explore Truckee/Tahoe" tab for a wide variety of places to eat, places you can take your furry friend, and adventurous activity ideas to keep you energized during your stay with us! We also list all local transportation services under the "Map" tab. 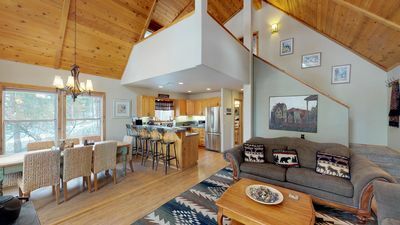 Note: This home is managed by a local property management company, and we require the primary guest to "Docu-Sign" and return our guest agreement. Note: Check In/Out Details Are Emailed (1) Week Prior To Arrival Date. 4WD or Snow Chains may be needed during Winter, and Driveway Snow Removal is provided so you don't have to worry about getting home. UBER Just Launched In Our Area! The Transient Occupancy Registration Certificate signifies that the person named has fulfilled the requirements of the Uniform Transient Occupancy Tax by registering with the Tax Administrator for the purpose of collecting from transients the Transient Occupancy Tax and remitting that tax to the Tax Administrator. 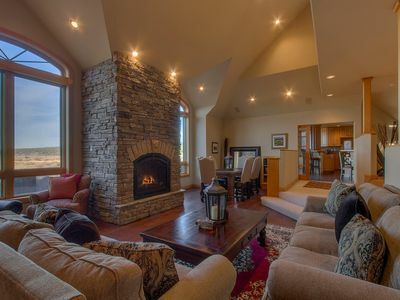 Prefect Location!! 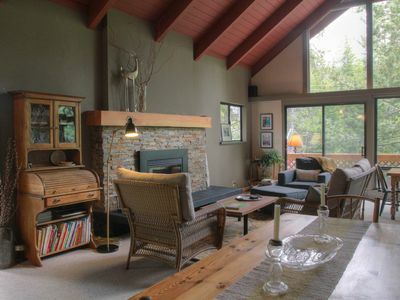 Short walk to The West End Beach & minutes from Ski Resort. 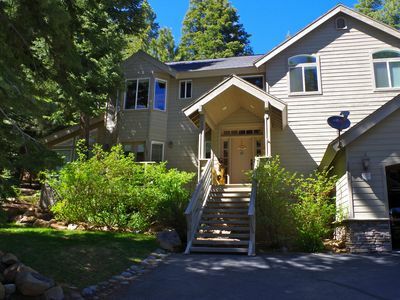 Gorgeous Northstar Home w/Ski Shuttle, Hot Tub, HOA Amenities (Pool/Tennis)! 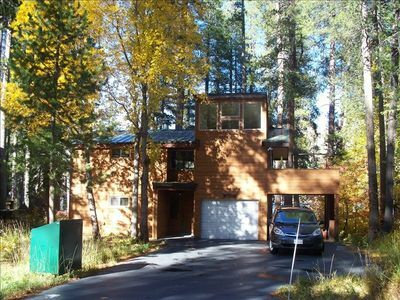 Bright & Beautiful Tahoe Donner Home + HOA Access! 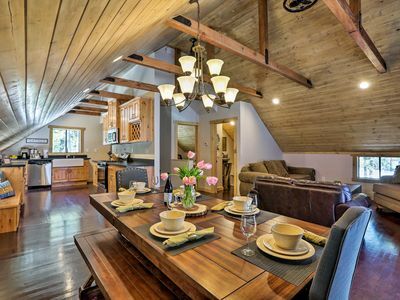 Truckee Cabin Near Tahoe Donner Ski Resort & Lake! 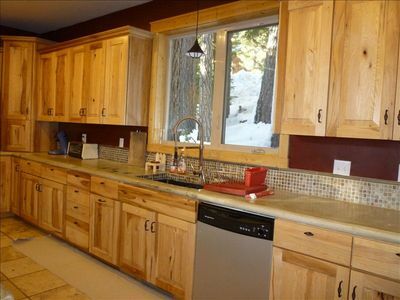 Lakeview, remodeled home 1 block from water & near slopes - ideal location! NEW! 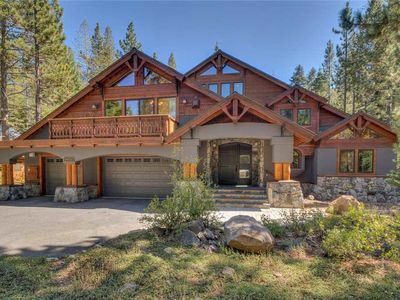 Modern Truckee Cabin - Walk to Donner Lake!